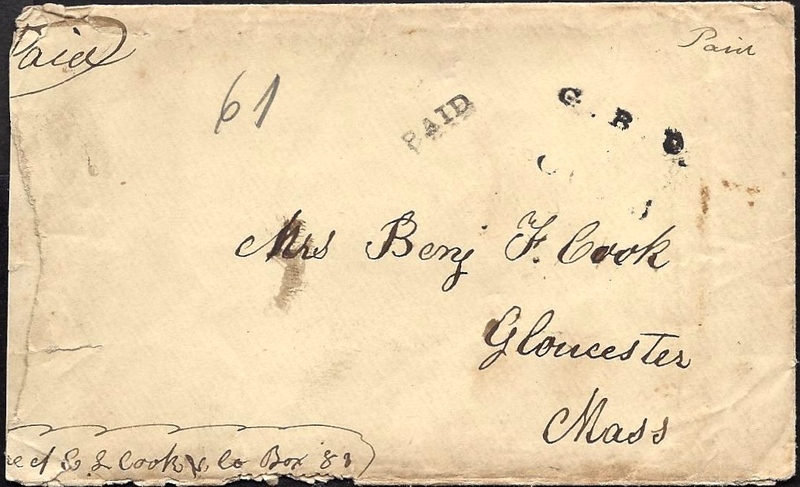 These letters were written by Benjamin Franklin Cook (1833-1915) of Gloucester, Massachusetts, to his wife, Julia (Friend) Cook (1837-1868). Benjamin had served ten years in the pre-war State Militia. He enlisted as Private in Company K, 12th Massachusetts Infantry on 19 April 1861 and was elected 2nd Lieutenant, then mustered as 1st Lieutenant of the Company on 26 June. He was promoted to Captain of Company E on 2 May 1862. 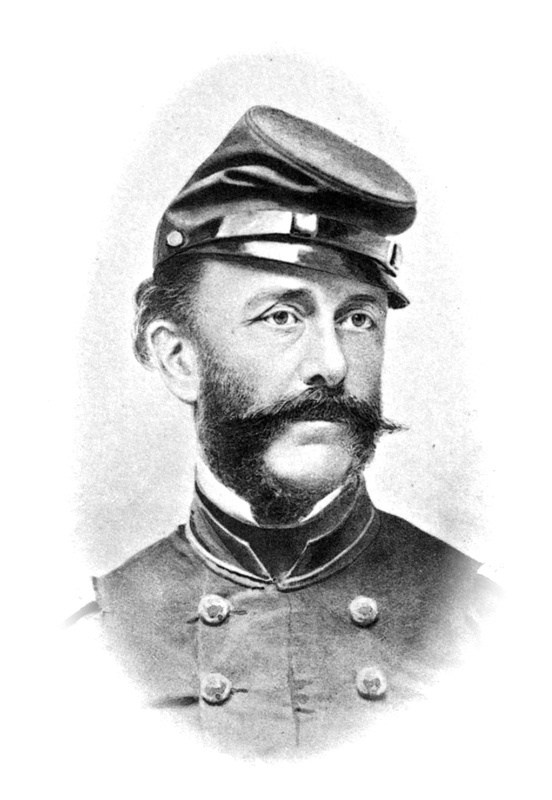 He commanded the brigade skirmish line and followed Major Burbank and Captain Allen in command of the 12th Massachusetts during the Battle of Antietam after those officers were seriously wounded in action. He served as the Provost Marshal of the Division (2nd of the 5th Corps) from January – September 1863, having been promoted Major of the Regiment in July. He commanded the Twelfth on the Mine Run, Bristoe, Wilderness, and Cold Harbor Campaigns (Oct 1863-June 1864). He was promoted to Lieutenant Colonel on 6 May 1864, and mustered out of service with his Regiment on 8 July 1864. He continued in Militia service for 3 years after the War, and was elected to the State Legislature in 1867-1868. He was appointed weigher and gauger in the Gloucester Customs House in 1869 and served in that post more than 14 years until 1884. He was elected to the State Senate 1886-88, and Mayor of Gloucester for three terms 1894-1898. 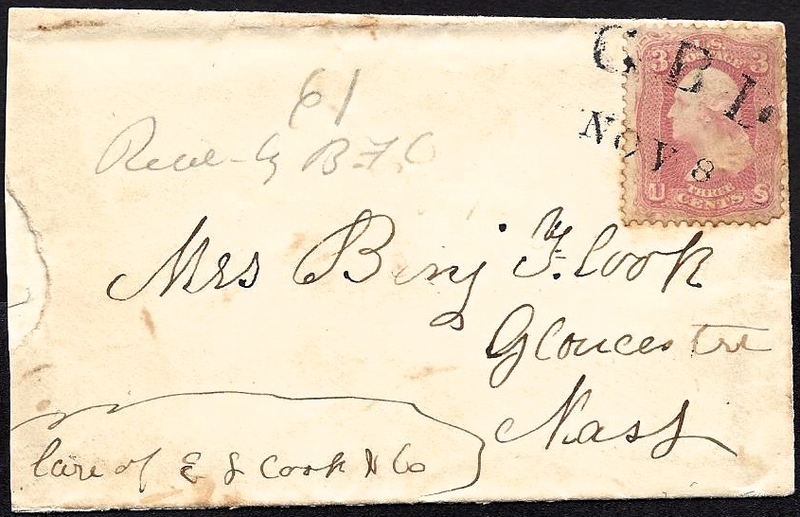 At the time these letters were written in 1861, the 12th Massachusetts was encamped on the Upper Potomac River. I should think if Julia thought anything of me she would write but everybody has so much to do I suppose that they keep neglecting to write. I do not know how long we shall stop here and I don’t care much. If we stay here, we shall be safe for there is no danger of the Rebels crossing the [Potomac] River. Today is Thursday, I think, and Saturday we go on picket down to the Rat hole so if you get the letter by next Sunday you will know where we are. There has been a fight somewhere very near today for we have heard the fighting not a great way off — probably at Poolesville — the place I think we shall go to when we move. That is the place where we expect to have our fight if we have one very soon. I think I shall write a long letter to Harry giving him some good advice for anyone is apt to be led astray in the army — especially where they are stationed in large cities and if privates are court martialed, they receive severe punishment if proved guilty. If an officer gives an order and it is not obeyed, he is arrested, kept in the guard house two or three weeks before trial. You must excuse my style of writing for you will see by my writing that I have got the blues. I am going to have my haircut today. ¹ This may be a reference to the funeral of Pvt. Rufus A. Peck of Company I who was accidentally killed by a falling beam while killing beef. His death occurred on 23 September and he was buried the following day. He was the first member of the regiment killed. It may also have been a reference to the death of Oliver Younger of Company K who died of typhus-fever on 7 October. The mail arrived tonight — the first since for three days — and I did not get one, no not one from anyone. I thought as I was officer of the day and i should have to be up all night, how nice it would be to have a letter from my dear Julia. I suppose it is all right for if I had received one, I should not began this but I have nothing to do for an hour so I thought I would write one more letter before I got one from you. In two or three days, we shall have another mail. Then I know I shall get one. I do not know as I shall send this for I have no stamps and no money, for going to Washington and my living expense took about all. It costs considerable to live when we are in camp. When we are on the march, we get along very well. I can get most anything I want at the sutlers and have it charged but that is not my style. We shall get paid off in a few days and then I shall be all right. I should like to have you send me those stamps I spoke about in my letter today. You must not think it strange if you do not get a letter for a week for if I don’t get any [stamps], I shan’t send anything. I will overhaul my chest and look at your and the children pictures. I am getting mad because I did not get any letter tonight and you know how I feel when I get mad. One hundred letters went from our company today. You can’t imagine the amount of writing done in the regiment. We send more letters than any regiment in the division so the chaplain says. Corp. Grin [?] is in the lieutenant’s tents smoking his pipe, taking all the comfort imaginable. He is one of the corporals of the guard that is on duty now. He was speaking of letters. I told him that I did not get any. He says he has received as high as eleven letters in one mail and six in the next. Some difference in his and mine. I have received as many as six in one mail from different persons. I must now close for the present. I think I shall write to Father before morning if I feel like it. I should to sent all of the folks at home. We had a fire today. One of the Band tents caught fire. Thy cost three or four hundred dollars worth of clothes, music, and instruments and is run quite a loss to them. Good night, dear wife. Take good care of the children.